Abstract: LED lighting is theoretically viable for visually demanding applications. However it's practically difficult to find an LED desk lamp manufactured with eyesight protection in mind. At present, LED lighting technology is mature enough to take over the market previously dominated by the conventional incandescent and fluorescent lighting. Task lighting fixtures are increasingly using LEDs as the light sources for visually demanding tasks. Theoretically LED lighting is safe if this technology is implemented in a correct way. However, the lighting industry is in a rush toward the cutdown of manufacturing cost for maximum market penetration. Lighting manufacturers aggressively 'optimize' their BOM sheets by every possible means. 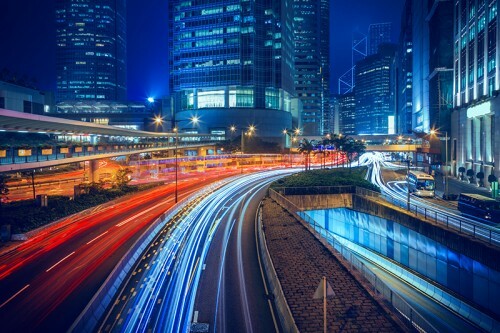 As a result, the economics of LED lighting in terms of operating cost and initial purchase cost is so attractive that nearly every lighting application is shifting to this technology regardless of its potential negative impact on human health. Are LEDs really a good light source for visually intensive applications such as reading, working or writing? Although we're an online industry portal that primarily serves lighting manufacturers, we would still want to say a big 'NO' to LED desk lamps. We're strongly concerned with the low level of manufacturer responsibilities as well as consumer awareness regarding the potential health risks linked to LED lighting. 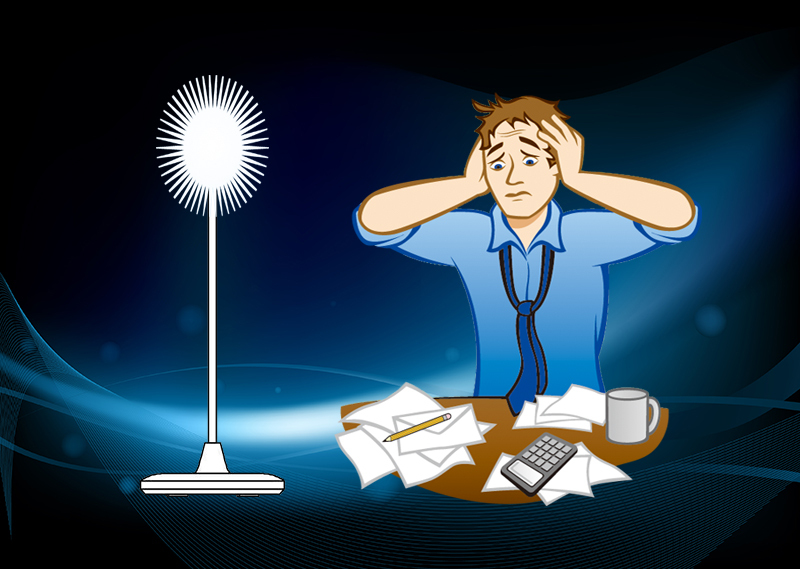 We seriously suggest you to stay away from using LED desk lamps or other LED task lights for visually demanding works. LED lighting might hurt your eyes and compromise your health if you're not a well-educated consumer who is difficult to identify a qualified product. Desk lamps are equipped for high intensity illumination in short distances and small areas. The close, consistent engagement between the light source and human eyes attach great importance to color quality. 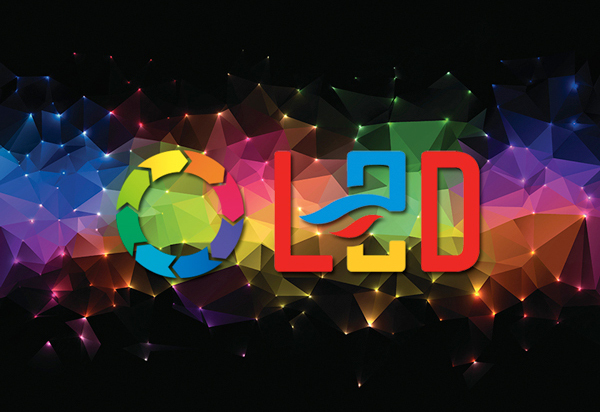 Unfortunately, color quality has been one of the major challenges facing LEDs as an artificial light source. The American Medical Association (AMA) last year issued a report regarding the human and environmental effects of LED lighting. While we think the report exaggerated the health risks associated with LED lighting, we have sufficient reasons to magnify the attention to the health concerns raised from using LEDs as the light sources for visually demanding tasks. We'll try to describe our concerns from an industry insider's perspective. The hazard of blue light is widely acknowledged. The blue light at a peak wavelength value between 460 to 480 nm may suppress melatonin, an anti-oxidant and suppressant of tumor development. Reduced melatonin levels may increase likelihood of developing cancers and circadian rhythm disorders. Repeated exposures to blue light will cause a photochemically induced retinal injury, permanent blue blindness, or irreparable degenerative tissues. The color emitted by an LED is basically defined by the materials from which it is formed. White light is produced by using the principle of color mixing in which a phosphor coating serves as a wavelength converting element to mix with the blue light emitted from the light emitting diode to generate white light. The phosphor based white LEDs are currently the dominant light sources for general purpose lighting because they're relative easy to manufacture. However, phosphor based white LEDs require carefully designed encapsulation to avoid premature degradation of the phosphor layer so that color-mixing equation is maintained and the excessive blue light will not leak through the entire LED package. In general, phosphor based white LEDs are very safe and have tremendous successful applications in every sectors. So it's rare that LEDs will pose direct exposure of excessive blue light if they're manufactured by reliable companies such as CREE, Lumileds, Nichia, Osram, San'an, Samsung, LG, and many others. The problem lies in the side of some luminaire manufacturers. For manufacturers who're constantly seeking cost optimization in whatever means possible, fake brand LEDs are a realistic concern. These cheap LEDs are generally fabricated for initial functional similarities with other brand name LEDs and may seldom take the product stability factor into their design, formulation and manufacturing process. Another concern is that LEDs generate heat during the electrical-opto conversion. Poorly designed or low cost thermal management systems may lead to the premature deterioration of key LED packaging components. Either the congenital instability of cheap/fake LEDs or the premature deterioration caused by poor system design might produce an excessive amount of blue light leakage. Correlated color temperature (CCT) is intended to characterize the human perception of a white light source by comparing its hue with a black-body radiator. For a general consumer, CCT is just a feeling of warmness versus whiteness of the light source. Hence we see the classifications such as "Warm White" (2700-3500K), "Neutral White" (3500-5000K), and "Cool White" (5000-6500 K). The phosphor composition incorporated in the LED defines the CCT of a white LED. While it's true that high CCT LEDs emit proportionally more blue light than low CCT LEDs, the amount of blue emission in LEDs with CCT below 6500 K does not reach hazardous levels. Nevertheless the statement of the American Medical Association (AMA) claims that twenty-nine percent of the spectrum of 4000K LED lighting is emitted as blue light which may lead to discomfort and disability glare. Shortly after AMA's report the Illuminating Engineering Society of North America (IES) refuted that AMA's report was based on misunderstandings and false or unsubstantiated assertions. We have no conclusion on the dispute between AMA and the lighting industry, but one thing is for sure -- LED light sources with low CCT (warm white) are safe to use. Unfortunately there's an ignorant preference for high CCT lamps among the general consumers who think the whiteness of light sources is positively proportional to the level of visibility in a space illuminated by the light sources. This preference will most likely influence their decisions in buying LED desk lamps. On the other side, many lighting manufacturers are terribly irresponsible on this issue. In fact they are literally no more knowledgeable than the general public. On a random quality inspection of LED desk lamps made recently by Jiangsu Consumers' Association in China, only THREE batches passed inspection among the total 173 inspected batches. Eighty percent of unqualified LED desk lamps have CCTs above 4000K, the maximum allowable value for interior lighting as specified in GB50034 (Standard for Lighting Design of Buildings in China). Furthermore, twenty-one inspected batches have extremely high CCTs above 6500K with the highest being 11643K! 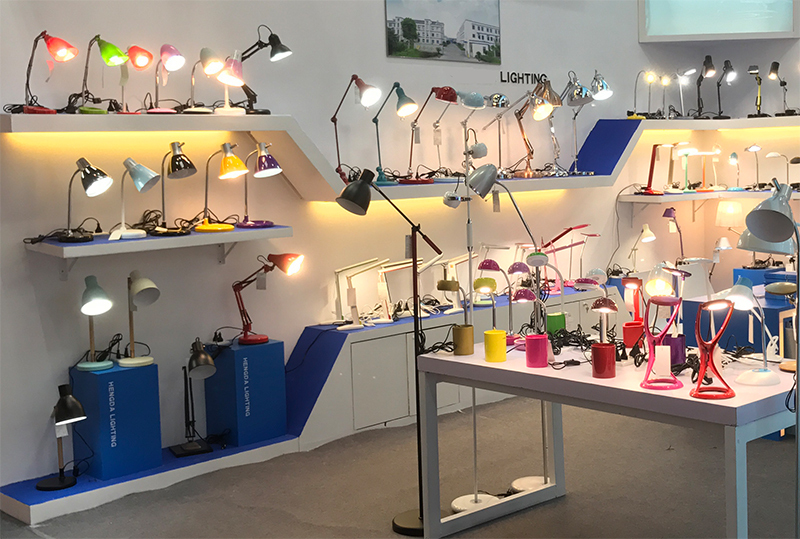 Considering the fact that most LED desk lamps are made in China, we have no reason to doubt that a big number of high CCT LED desk lamps are being sold in the global market. Glare is the single biggest issue for LEDs to be used as the light sources for LED desk lamps and other demanding applications. LEDs, unlike fluorescent lights which emit light that spreads out very much over a wide area, are point light sources by nature. The concentrated light-emitting spots may cause discomfort glare or disability glare. This is why most LED luminaires use secondary optic systems to achieve optimal luminance levels and light distribution uniformity. LED desk lamps are probably one of the most challenging lighting systems for industrial designers of LED secondary optics. A good optical design for LED task lights starts from effectively mitigating the harsh, concentrated beam to obtain a soft and pleasant light distribution. Glare control usually involves a huge investment in sophisticated industrial design and proprietary optic systems, which is impossible for low end LED desk lamps to be equipped with expensive but indispensable optical components. There're rating systems to evaluate the discomfort from glare - Visual Comfort Probability (VCP) developed by IES and the Unified Glare Rating (UGR) developed under the aegis of the CIE (Commission Internationale de I'Eclairage). IES recommends that office lighting systems should have a VCP of 80 or greater. We suggest the UGR value of LED desk lamps to be limited to 19 or less. But these suggestions are meaningless as virtually no manufacturers will do complicated simulation and evaluation of psychological direct glare from LED desk lamps. The most critical quality parameter of such a visually demanding lighting system remains uninformed to consumers. The flicker phenomenon is in fact directly associated with the industry's focus to produce cost effective LED lighting products. 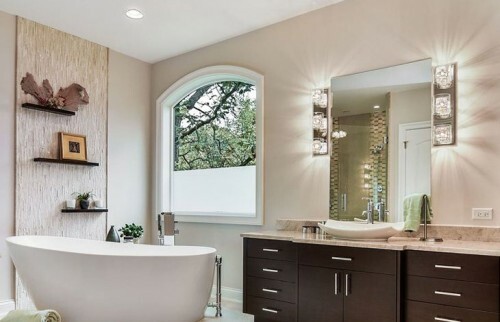 Flicker in LED lighting is typically of the imperceptible type which is the invisible modulation of light at frequencies above those at which flicker is perceptible (visible flicker, generally within the range 3-70Hz). Flicker is caused by the temporal variation or ripple in the power supply (in the industry it's more commonly called a driver) to the LEDs. This ripple may be reduced by using an electrolytic capacitor or equivalent electronic component as an energy storage component to bridge the fluctuation in the instantaneous input power. However the LED lighting industry is moving toward simplifying the LED electronic circuits for reducing the manufacturing and maintenance costs as well as improving design flexibility by eliminating bulky electronic components such as capacitors, rectifiers and transformers. And because of this we see more and more slim and compact LED desk lamps on the market. The truth is that as of this writing there're no effective alternatives to constant current drivers which use a capacitor across the diode bridge for reducing ripples and alleviating flicker problems. The simplified LED driver solutions such as linear drivers and driver-on-board designs do significantly reduce both the cost and form factor of LED lighting systems, but they sacrifice some key performance parameters with one of them being flicker removal. Long-term exposure to invisible or imperceptible flickers may cause malaise, headaches and impaired visual performance. Color rendering index (CRI) is a quantitative measurement of how the color reproduction of a light source compares to a reference light source. High CRI LEDs reproduce colors in an appealing and natural way. Low CRI lighting leads to loss of color fidelity and may cause eye fatigue. The Energy Star V2.0 requires the average color rendering index (CRI Ra) of indoor luminaires to meet or exceed 80. For reading, writing and other visually strenuous works, it's highly recommended that the CRI Ra should be greater than 90. Nonetheless, some manufacturers were found in the aforementioned quality inspection case to have used low CRI (<80) LEDs. 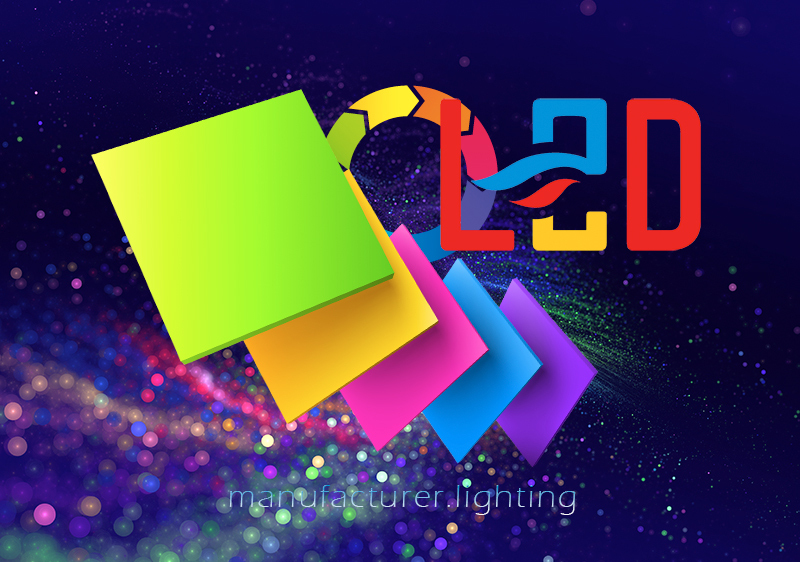 We have no expectation that high color rendering LEDs (CRI 90) will be widely used in LED desk lamps because these LEDs are expensive. Ironically, the obsolete incandescent lighting has an excellent color rendering ability (Ra greater than 95). Is There a Product that Doesn't Adversely Affect Your Eyesight? We can't be looking backward to the past and use the extremely inefficient but healthy incandescent bulbs for desk lamps. LED lighting is theoretically viable for task lighting. It's just that too many consumers and manufacturers are crazy to reap the utmost economics of the new technology. Practically it's difficult to find an LED desk lamp manufactured with eyesight protection in mind. Do not simply look at the price tags if you really care about your or your kid's health. 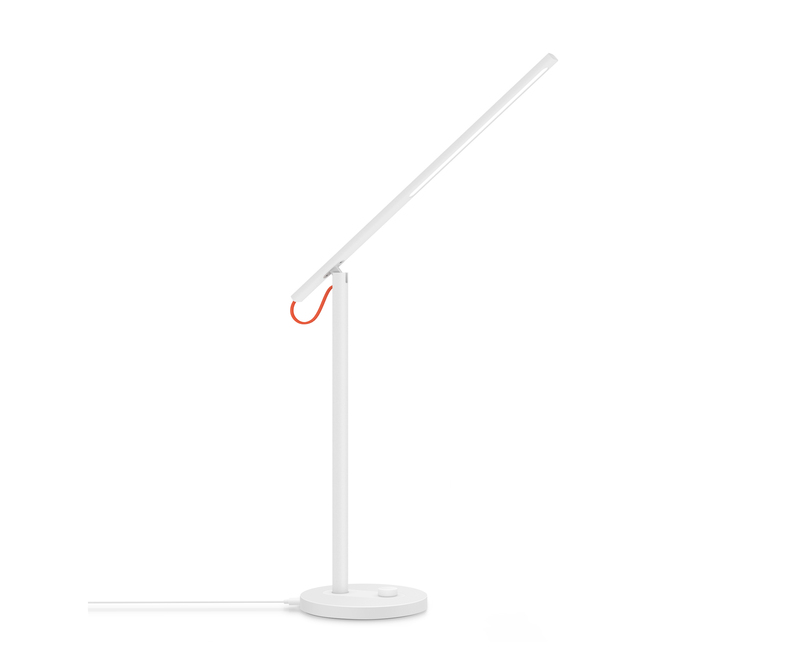 If you have trouble finding a high quality LED desk lamp, OLED lighting is your safe resort. OLED lighting features superior color temperatures and excellent color characteristics. Unlike LEDs that produce high intensity light with an unpleasant sharpness, OLEDs are surface emission light sources that use thin layers of organic semiconductor material to generate a soft, natural and glare-free light. The organic lighting technology eliminates the health risks associated with other artificial light sources such as blue light, ultraviolet (UV) or infrared (IR) emission. At the moment OLED desk lamps have a very low market penetration and are 5-10 times more expensive than a moderately priced LED desk lamp, but it's definitely worth the investment. We all know health is the greatest wealth, and yet health is often not valued till health problems come. Do not let low quality lighting steal your greatest wealth.